The benefits of teeth straightening go far beyond just achieving a beautiful smile. By having your teeth straightened, you can improve your oral health, prevent a wide series of medical issues, and become more confident to boot! What used to be considered a procedure for children and teenagers has now become common among people of all ages. In their millions, British people are leaving the cliché of bad teeth behind, as they choose to take care of their teeth as part of a healthy lifestyle. Crooked or over-crowded teeth are hard to clean, as they create hidden pockets that your brush can’t reach. Plaque gradually accumulates there and bacteria multiply faster. Straight teeth are easier to brush and floss. There’s also more room for the toothbrush bristles to get between your teeth to clean them properly. When you clean your teeth well, you get fewer cavities and keep your gums healthier. In the long run, you prevent the onset of periodontal diseases (infections of the structures around the teeth), which generally start with inflamed gums. Clean teeth also help you prevent halitosis (bad breath), which is often the result of improper oral hygiene. 40 percent of the UK population admit to being unhappy about the appearance of their teeth. Crooked teeth keep you from smiling and feeling good about the way you look. When you feel embarrassed about the way you smile, it’s harder to build relationships with the people around you. By straightening your teeth, you’re much more likely to have a beautiful, healthy smile that can make you feel more confident about yourself. The benefits are obvious: you increase your self-confidence, which can help you make new friends, improve your current relationships, and even give a boost to your career! Another important advantage of straightening your teeth is that you get a proper bite. When teeth are crooked or don’t meet well, chewing and biting are heavy and involve more muscles. You don’t eat properly, as your teeth move against one another. In time, this can cause tooth wear and tear. The tooth enamel erodes faster, causing discoloration, sensitivity, and pain. Straight teeth allow you to eat well by chewing and biting correctly. You enjoy every meal without pain or discomfort, and you keep your mouth healthier for longer. Straight teeth keep your teeth healthy and your gums protected against bacteria, which could help you to prevent life-threatening medical issues. A study by the University of Helsinki from 2016 showed that there’s a direct connection between the infections of the root tip of a tooth and the coronary artery disease. There’s an even higher risk of developing this disease when the infections are symptomless. Furthermore, there’s evidence that shows a link between gum disease and lung cancer. It seems that patients with severe periodontitis have a 24 times greater chance of developing lung cancer than patients with healthy gums. People with crooked teeth tend to alter their jaws, to correct movements while eating or speaking. In some cases, crowded teeth also put extra pressure on your gums, jaw and supporting bone. In time, this can cause frequent headaches or ear and neck pain, among other problems. When you straighten your teeth, you can achieve the right jaw alignment. Muscles are more relaxed and can work properly. No more clenching, teeth grinding or pain. In the long run, you’ll feel more relaxed, as you won’t experience headaches or any other pain caused by too much stress on your jaw joint. Straight teeth allow you to live better and, quite possibly, longer. You’ll be more comfortable with eating and smiling, and improve your quality of life overall. The teeth straightening benefits are numerous, and it doesn’t need to been an invasive procedure, as with treatments such as Smileign and Sixth Month Smiles, the braces (orthodontics) can be virtually invisible. 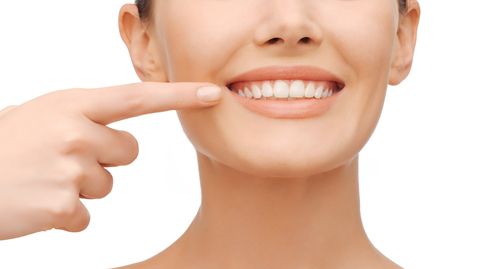 Visit the Teeth Straightening treatments page to learn more.